Barring a Democratic wave, it’s looking like the congressional race in NC-07 will be the only House seat in the state to see a competitive race, at least as far as the general is concerned. 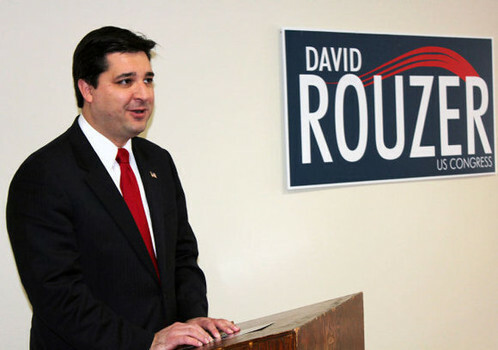 Former State Senator David Rouzer is looking once again to challenge the incumbent, Democrat Mike McIntyre. Rouzer ended up losing last year by a mere 654 votes, preventing the GOP from accomplishing their goal of a 10-3 House delegation. Rouzer has already hit the ground running, last week announcing staff hires. The Republican from Johnston County has several key advantages from last go-around which may help him in his race. First, he won’t have to fend off a primary challenger in the form of Ilario Pantano, making for a united GOP and allowing him to conserve his money for the general. Second of all, having run just two years earlier he’ll have to spend less time building up name recognition. And the fastest-growing parts of the district – areas like Johnston and Brunswick counties – are trending Republican. Then there’s the fact that midterms tend to go poorly for the incumbent President’s party. If this pattern continues into 2014, Mike McIntyre could be in real trouble. But McIntyre has several advantages too. His first advantage is that of incumbency. He’ll have had two years to get to know voters in new parts of his district, and they might come to find that they like him and appreciate his service. He won’t be an unfamiliar face to voters in places like Clayton anymore. And don’t expect any Democratic drop-off during the midterms to have a significant effect on NC-07. Republicans drew the congressional maps with the goal of neutering the Obama coalition, packing these voters in the first, fourth, and twelfth districts. Most, but not all, midterm drop-off will be confined to those districts. Since McIntyre doesn’t rely on the Obama coalition anyway, their reduced turnout is unlikely to substantially affect his prospects. The wild card will be which way the political winds are blowing in the state next year. If North Carolinians are angry at the state legislature and in an anti-Republican mood, that could spill over to federal contests. It’s too early to say what the political environment will in November 2014. For that reason, we’re keeping NC-07 as a “toss-up” and will certainly be watching to see what develops here in the future.